Our email gift vouchers are sent by email. Either send it to yourself to print off, or send it direct to a recipient’s email address with a message of your choice. You can enter these details during checkout. 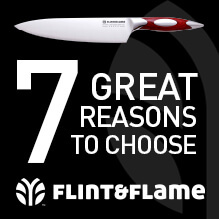 A Flint & Flame email gift voucher makes the perfect present for any culinary enthusiast. They can be used as either part or full payment for products on the website. 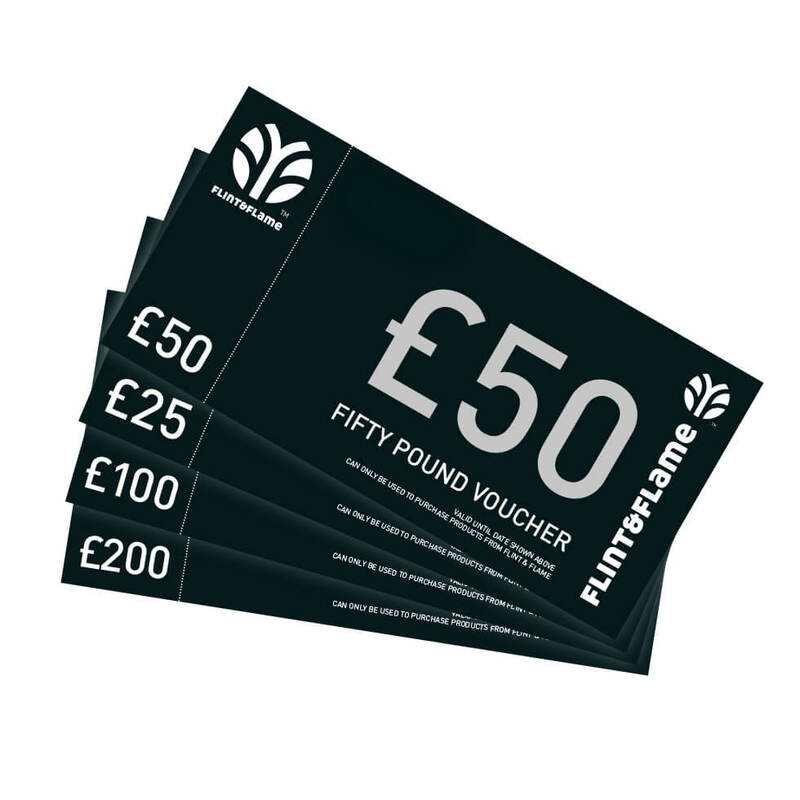 Flint & Flame Email Gift Vouchers can be redeemed online at www.FlintandFlame.co.uk as part or full payment for goods (exclusions may apply). Protect this Email Gift Voucher and treat it as cash; lost stolen or damaged vouchers will not be replaced. This Email Gift Voucher cannot be exchanged for cash. No change or cash refunds will be given. Any balance remaining at any point will not be refunded, but any balance remaining on the voucher may be applied to future purchases, provided that the voucher has not expired.